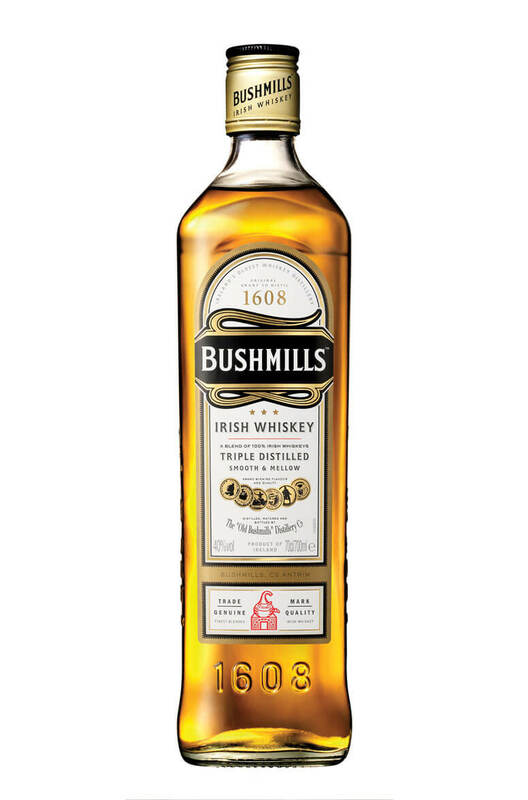 Bushmills Original is also known as 'White Bush' and is the flagship blend from Bushmills distillery. It is vatted from triple distilled malt aged for 6-7 years along with some younger grain whiskey which is currently sourced from Midleton distillery. Most of the maturation is done in ex-bourbon casks along with a small amount of sherry casks. This has a smooth yet full and creamy texture with some nice flavours of vanilla, fruits and some sublte chocolate notes. Nose Light and fruity with spicy aromas, vanilla note. Nose developing into crème brulée. Palate Gently warming‚ mouth coating texture. A touch of honey sweetnes. Finish is crisp and fresh, with a touch of spice.